Hey! That's my backyard. For real, it is! Such a cool shot Jay! that's a really nice surfboard. really popular model during the 70's. you should keep it out of the sun. it may have some collectors value. 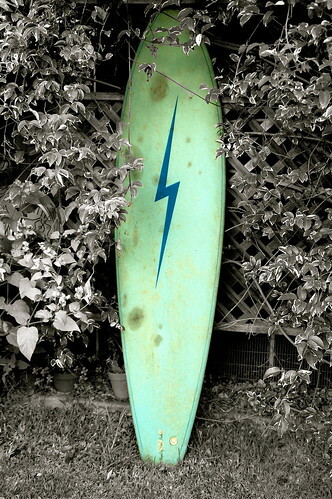 This could be a collector's item as it's rare to find surfboards like that nowadays.